Now, let me start by saying, I’m not a Pinterest guru. Those who follow my Twitter might have seen one or the other tweet of me bashing my head into a virtual wall, bemoaning how I just can’t quite get the level of control over my Pinterest performance that I’d like. Nevertheless, Pinterest brings a significant portion of my blog traffic already. It’s a platform I’ve read more about than any other method of blog promotion. 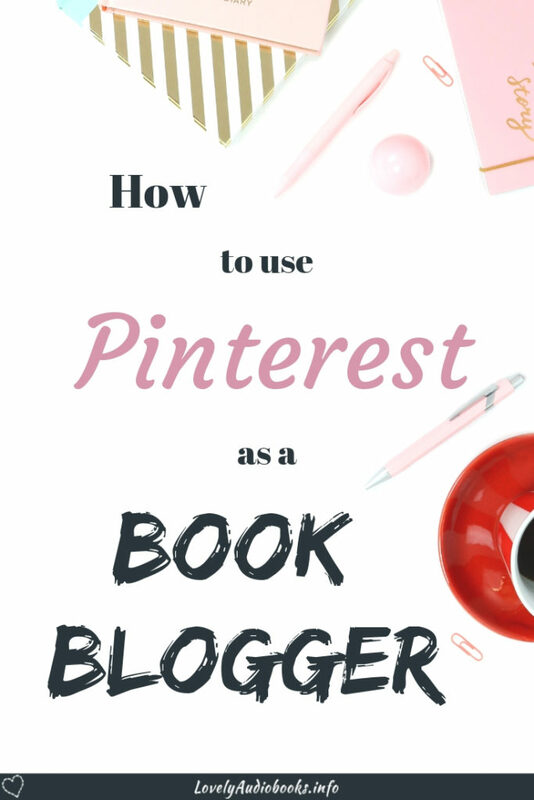 And I keep seeing a lot of confusion and questions about Pinterest from other book bloggers. Obviously, I’m by no means an expert. But I have a good idea now how to start a bookish profile and I might be able to answer a few of your questions and help you get on the right track to see (more) visitors from Pinterest. I currently have around 230k – 300k monthly unique viewers. That, in itself, is a fairly useless number. It’s the number of people who’ve had pins from my boards shown somewhere in their feed. I have around 10k-12k monthly engaged users, people who do something with the pins I’ve pinned (which are not only the ones I’ve made but also everything from other people I have saved). This all resulted in 360 visitors coming from Pinterest to my blog in January 2019. These are not breathtaking numbers compared to other pinners you might see around. But it’s what I’ve reached in 4 months only with books and book quotes. None of the popular Pinterest topics like DIY, travel or food. One problem with Pinterest is, what worked a year ago, likely won’t work that well anymore today. Actually, what worked a month ago might not be the perfect thing anymore today. Also, what one guide says works perfectly, might be the complete opposite of what another guide claims. So, while I can’t tell you the perfect Pinterest strategy, I can tell you what I have found out that wasn’t covered in other guides, especially in regard to book bloggers. And I hope it will be useful to you for starting a Pinterest account, for growing your profile, or just for joining a few of the group boards that I will tell you about later. Mention books or book blogging in your profile name! This is helpful because other book bloggers or avid readers might only follow you back if they see right away that you share their interests. It’s also your most important keyword. Maybe you’ve heard this before, Pinterest is not so much social media, but a visual search engine. And it’s true. We’re working towards organic traffic here and we’re applying SEO (Search Engine Optimization: How high your content ranks in searches). But followers are still important. While Pinterest shows your pins to other people as well, your followers are the most likely to see your pins first and click and save them. That means your pins show up more often for other people and you extend your reach. That’s why you want quality followers who like your pins. One way to find followers are follow-for-follow groups or threads on Facebook and Twitter. This is a quick and easy way and it’s what I did first. However, the problem with this method is that travel or food bloggers are less likely to share your bookish pins. What I do now to grow my following is to follow other book bloggers and readers. If they follow me back, they are also much more likely to engage with my pins because they fit in with their boards. And if you’ve read some general guides, you know that it is preferable to stay within your niche and not save and share pins from a wide variety of topics. Share books, libraries, quotes, and related topics, but keep your favorite hairstyles in a secret board or on a private account. Why? Well, for me, when I click on my following feed, it’s simply annoying to scroll through 50 recipe pins to find one bookish pin. Another reason why follow-for-follow is not ideal. It’s much easier to build a meaningful network and engage with the people you follow if they are in your niche. To sum it up: Mention books in your profile name and follow other people who save bookish pins, because they are more likely to engage with your pins if and when they follow you back. So, we just talked about how engagement with your pins makes Pinterest show them more prominently in searches. Which brings us to the topic of keywords. I like to ask myself: Who would be happy to find my pins? What might they be searching for? So, if you’re pinning a book cover that links to your review, write a description stating the name of the author, the title of the book, the genre, and possibly the subgenre. But you should also mention that it’s the book cover and that you wrote a review. If there are other aspects of the book that stand out for you, add those too. Remember, Pinterest works with keywords, like Google. It can’t interpret your actual image all that well. You’ve got to tell Pinterest which people would be interested in your pin, for example those who are looking for the cover or a review of a specific book. You can also include a few hashtags. Pinterest tells you how many times a hashtag is used and you should choose the most popular ones (#books #unicorns might be better than #booksaboutunicorns). As book bloggers, our most obvious pins are of course book covers. The nice thing about them is, that we have zero work with making the pin and they already come at a good size. Pinterest likes pins that are higher than wide and this makes sense, in particular for small screens. Apart from book covers, you can make your own pins with any image editing software. I use Canva. I find it very handy because it works online in your browser and there are a lot of prepared templates if you don’t want to create something from scratch. Start out with at least 10 boards with 10 pins each. Build your boards so you can pin your blog posts to at least 5 boards (many more later on!). Make one board just for your own best pins, so other bloggers who want to support you can easily find the pins you created. When you have a new post, pin the image for it to the most relevant board (like “book discussion” or “book review”, this is a keyword-thing). Then go and repin something. A little while later, pin your new post to a second board. Then pin something else again. And so on. If you just pin the same image over and over, your profile will look spammy. So, keep mixing it up! You can have many pins for one blog post. For example, for mini-reviews, you can pin each of the book covers and create a graphic with the theme of the books or a collage of the covers. Pinterest loves fresh pins! A new graphic for an old blog post also counts as a fresh pin. Books don’t get stale, neither do your reviews. You can always make a new pin for an old book review, with a new graphic, a quote or simply a new edition cover. Let’s backtrack quickly, I told you to follow people with bookish interests. But how do you find them? 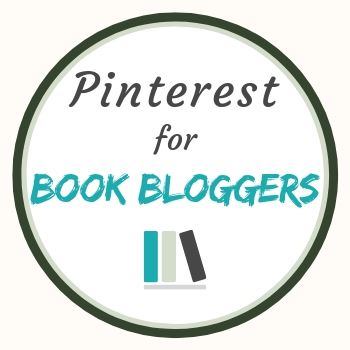 Firstly, a great starting point to build your book Pinterest is this fantastic Facebook group: Pinterest Repin for Book Bloggers. You’ll get in touch with a bunch of other bookish pinners to get your images seen. I love this group! You find people to connect with and your pins will be saved and clicked. Both tells Pinterest that they’re good content. And now, secondly, we’re doing two things at the same time. I’ll tell you about group boards and you’ll find a whole bunch of bookish pinners to follow (in the hopes that they will also follow us back and that we can share each others’ pins). You’ve probably googled Pinterest guides and found that group boards are a great way to grow your reach. This is true, but, as I said before, Pinterest changes. These days, Pinterest prefers if your group boards fit in with your niche. That means joining general blogger group boards won’t work as well anymore as it used to. But how do you find those fabled bookish group boards? Google doesn’t help. One thing you can do is go to Pingroupie. It’s not the most user-friendly website but I found a few boards there: Pingroupie Book board search. What works best for me is looking at other book blogger profiles and checking which group boards they are in. This is way faster than visiting groups from Pingroupie because you don’t have to sort through spammy or dead boards. At the same time, I follow the blogger because they have pins like mine, as well as the leader of the board. These people are likely already connected. You can see who they follow (and who follows them) and find more book bloggers and more bookish group boards by exploring their networks. This is not something that happens quickly. Trawling through lists takes time. What takes even more time is waiting to be accepted into group boards. To sum it up: Go directly to the Pinterest profiles of your peers! This is the best way to find group boards in your niche. And it’s also the way to get started on finding quality followers who will improve your reach if they follow back. This is by no means a selfish thing. You share their pins because they fit in with what you do and add value to your profile. Together you can grow on Pinterest. The first board is for quotes from books, quotes about reading, and bookish memes. The second board is loosely connected to the book review link-up and you can pin your book reviews and mini-reviews here. If you want to be added feel free to leave a comment under this post with your Pinterest name or send me a message on Pinterest. To tailwind or not to tailwind..
I’m tailwinding thanks to Ginger Mom and Company. As this point, it’s the biggest amount of money I spend on blogging. And since I had never used Pinterest before I started blogging, this feels like a very good investment to me. Tailwind simply takes over the pinning for you as I described it earlier. It queues up your graphics so your pins pop up regularly throughout the day at the ideal times. And you’ll never look spammy. It didn’t make my profile instantly explode as you can see by my stats mentioned before. But I just love what it does. And I believe it plays a big role in my profile growing so steadily. This is my Tailwind affiliate link. You don’t have to use this, of course, but you should use someone’s affiliate link if you decide to try it out because it gives you a $15 bonus if you decide to sign up (and the affiliate gets one, too). To grow on Pinterest you need to put in some upfront time investment. But you’ll then see the organic traffic building up more and more. In that sense, it is so much more like a search engine than social media, where your content is seen at most for a day. At the same time, like in Social Media, your traffic benefits much faster than from SEO practice. If you put a good pin up, you might see an increase in clicks in the following hours already. And that’s what slowly turned me into a Pinterest addict. You see the immediate effects but you also have the long-term organic traffic when older pins become popular again. That was it for now. I hope my “Pinterest for book bloggers” guide was useful to you. If you have any questions, ask in the comments and I will try to answer them as well as I can. This was so incredibly helpful! Thank you so much! I have no idea how to use Pinterest for blogging purposes hahah. I’m so happy to hear that it was useful to you 🙂 If you have more questions, please feel free to ask! Thank you so much for sharing this. I decided to really focus on Pinterest as one of my goals this year and have been working on my profile since January, but I do think things are different for book bloggers than other niches, and it’s nice to see advice specifically for book bloggers. Briana @ Pages Unbound recently posted…Should Libraries Shelve by Genre? Yeah, in some ways we have it easier because we always have the book covers to pin as well. Not much work to have an extra pin for a blog post. But on the other hand, it’s more difficult to find an audience than in other blogging niches that are vastly popular on Pinterest. Love this post, Eline! I’ve heard of Pinterest being used by book bloggers but I never understood the how and the why. You’ve broken it all down so well. I’ve had a personal Pinterest account for years but now I’m strongly considering starting a business account for my blog. I’m not all worked up over numbers/stats on my blog, but it would be nice to have a new avenue to maybe generate some traffic and find more viewers/subscribers. I’m saving this post for future reference! Leave a link to your account when you start using it more regularly! I’d be happy to invite you to my boards and, of course, save your pins. It’s usually good to just turn the personal account into a business account since it probably already has some followers and pins. Great post. Thanks for sharing your great ideas. This is an awesome post. Thank you for so many tips. I am completely new to the blogosphere and have just recently started a book blog (like a few days ago). I would love to join your Pinterest board. My pinterest account name is mbb_ayushi. MBB stands for My Bookish Blog. Thank you for being a part of my group Pinterest board! I definitely agree with you on TW. It has been my biggest expense besides Abode products, but it has also definitely been worth it for me. I’ve also read that Pinterest likes at least a few hashtags in each post. Isn’t jealousy or envy against one of the Ten Commandments? Your stats! Darn it – I want to swear! 20,000 Total views since May. What am I doing wrong!? I joined all of the Pinterest groups. I hav3 to set up a Bookish group and so I have a lot of questions. I will Tweet you. THANK you for this information. Haha, thank you!! Sure, message me 🙂 It’s really the things I listed here and using Tailwind that made me gain the big jumps. Interesting tips. I have to say I’m a huge Pinterest person in my personal life, but for me it’s the social media I put least effort into for my book blogging. Neat to hear it from a more analytical view! Pinterest scares me so this is so useful! Great post. I really need to improve my Pinterest game. Great post! Very helpful for a newbie like me😊. Good post! I’ve started using Pinterest more recently and I’m still trying to get the hang of it. This is very informative and I’ll be using this help me out. Thank you! Great post! I am so glad that I could play a small part in getting you going 🙂 It gives me all the warm fuzzies. You’re doing great! I would love to join your Pinterest board, too. Great post. I don’t really spend that much time doing anything with Pinterest. Whoa, those stats are insane!! Something I can only dream of! I may want to start using Pinterest for my blog since I haven’t been doing this much in the past. I do love using Pinterest, but I just didn’t really think it’d be much help to my blog in any way but boy, was I wrong haha! Thanks for the awesome article you’ve written about it! Thanks! Very informative 🙂 Personally I’m not a huge fan of Pinterest. I really do not get Pintrest and do not use it. I like Twitter a lot and kind of use Facebook. Yeah, I didn’t either. That’s why Tailwind did help a lot cause they have a lot of guidance, too, on how to set up your profile. Great post. I only use Pintrest as a way of keep topic ideas together for school planning but I like the idea of using it for book blogging. This is a great post. I am trying to get to grips with Pinterest still. Thank you 🙂 Yeah, it’s a bit tricky because there are soo many things to figure out. I’m already working on a second part for this post where I gather all the little tricks and things to watch out for, that I’m picking up here and there. Am I the only one who goes through profiles and unfollows boards when I follow someone? That way they can be themselves and I don’t have to watch. Or something. not sure how to pin to the group but will figure it out! Awesome post! I haven’t tried using pinterest yet, but maybe I will..
Nice post with lots of good info! Hey Eline, can I join your group please? I’m renstar24. And thanks for the great tips, I am definitely gonna try them out, cept for tailwind(can’t afford that). Is it hard to start a group? I was thinking of doing one. Thanks. I’ve invited you to the group board. It’s not difficult to set it up. But it needs to be maintained. If the board gets spammy, it reflects negatively on your account as board leader, so it’s very important to keep checking it. Megan got me using Pinterest but I really need to master it better – thanx for the info! Great post, i dont use pin interest but might give it a try now.